Sayans covers the gap between learning sciences and its real world application. 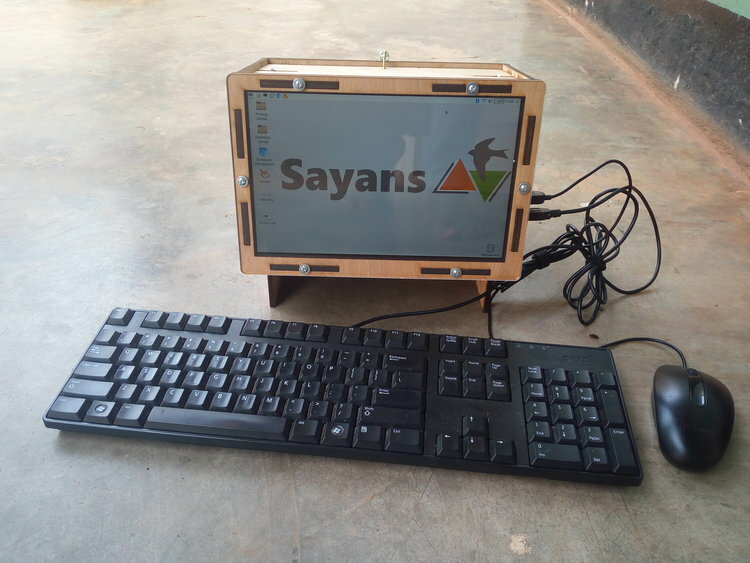 Sayans is an informal center where out of school youth 15-25 years get intense personal and professional growth and develop ideas into tech businesses. Each scholar chooses from our core track areas and gets access to tools that they use to make and develop their ideas through Project Based Learning and hands on experimentation. Our scholars through self-learning and research, with intense mentoring generate and keep testing ideas and making mistakes until they graduate as innovative problem-solvers and exceptional technology entrepreneurs with their own tech businesses solving problems in their communities. We take in our scholars irrespective of their academic backgrounds. 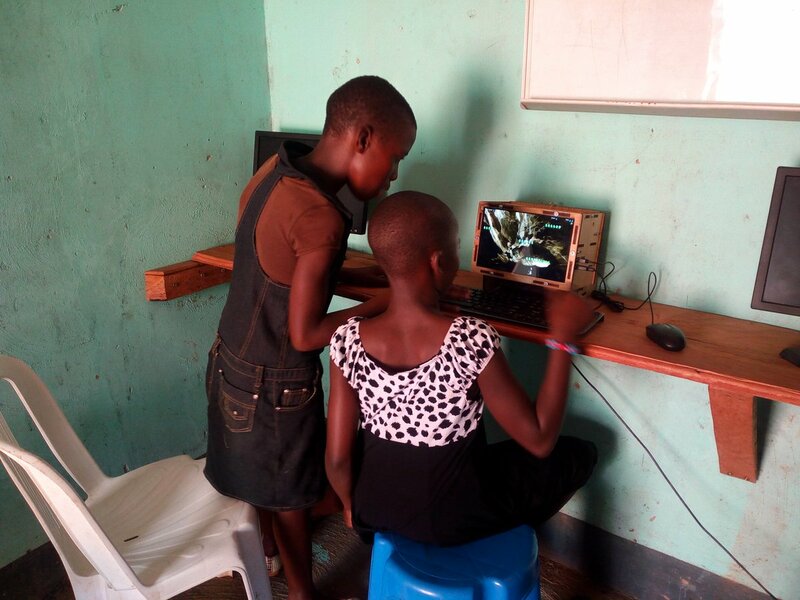 Through our model, even a primary school dropout can attain high level of computer/tech proficiency with benefits both on himself and society. Each scholar chooses from our core track areas, generates ideas and accesses tools that they use to make and develop their ideas through Project Based Learning and hands on experimentation. Core Track Areas 1. Physical Sciences: Physical sciences are concerned with the study of non-living natural objects, including physics, chemistry, astronomy, and related subjects. 2. Life Sciences: Life sciences involves the scientific study of organisms such as microorganisms, plants, and animals including human beings. 3. Information and Communication Technology (ICT): ICT refers to technologies that provide access to information through telecommunications and includes the Internet, wireless networks, phones, computers and other communication mediums. Since our empowerment program is structured in stages, we shall be able to see the growth of individual scholars through the set stage indicators. A scholar progresses to the next stage after fulfilling indicators in a given stage and a scholar can move back and forth depending on the project or individual needs. This will ensure we graduate scholars who are grown both personally and professionally and can start and manage their own businesses. We shall measure this through the number of scholar projects that graduate each year and the impact that they also create in the communities they are in. Our focus is on technology for social good. Our scholars graduate with technologies to tackle problems in the communities. The center will have two categories of scholars; the paying scholars and those under scholarship. The scholars under scholarship get the support to develop and work on their ideas until they graduate with their own tech businesses. Upon success of their own ventures, they pay back an agreed amount to the center based on their type of venture. The scholars who are able to pay $2000 annually to cover their training and upkeep costs giving a profit margin of $1000 per scholar. The center will also design and make tech products for individuals (eg. 3D print a limb for a lame person at a cheaper cost) and organizations. These products are designed and made by the scholars through challenges and competitions as a part of their learning process while generating income for the center. I was born in January 1986. I graduated in 2013 from Makerere University with BS. Physics and Mathematics but unfortunately, the learning was so theoretical that I was not able to build even a simple electronic circuit. I then got a scholarship for a hands on certificate in solar technology from Nsamizi Training Institute where I first experienced hands on and project based learning. In 2014, I got a fellowship from Social Innovation Academy (SINA) that empowers marginalized youth to turn their challenges into social businesses where I took on life coaching, social entrepreneurship, business startup and management and mentoring. As a mentor at SINA, I have helped over 10 projects win awards globally like the Queens young leaders award, the Ideas for Action, Echoing Green fellowship, The Tony Elumelu Program and others. With these skills, my passion in science and technology and the yearning to impact young people, I resolved to create a center for science and technology where any young person can learn science and technology without a bias based on performance. After showing great leadership, commitment to the development of young people and social entrepreneurship, I selected to become the country coordinator for the Social Impact Award in 2018. The award is an international organization that provides youth seed funding and support to launch social businesses. Your idea is great and innovative. I really like the image that ilustrates your idea. In what you inspire? Continue making chaanges that help our world be better. Thank you very much for your valuable suggestion. So far your idea is very good. You need to train other people like you so that it will be easy for you to operate your training center. You need to do something which attract people/student to come at your training center. This will benefits to you and students as well. Hello my friends, I invite you all to see my idea and give me your opinions and advice or any important information my idea to develop the idea and to update the information of the idea. Thank you for your comments. My inspiration is based on my own experiences studying sciences. I loved to make things but I always had no tools or components to use and I graduated from university with a degree in bachelor of science majoring in Physics but I could not even build a simple electronic circuit. I have also met great young innovators who were challenged because they didnt have a space to develop their ideas. This is what drives me. In 2 years I want the academy to already be set and running sustainably with the first 10 tech businesses graduating. Thank you for your comments and encouragement. I will definitely check your project and vote as much as I can. This is a great platform to connect with other entrepreneurs and I am happy to share thoughts with you. Your idea is amazing. You have different type of training center and it will help people to develop their minds and making them learn leadership skills. Scholarship future plan will help students to encourage in their respective field. Your idea is amazing .It will be very helpful in getting rid of unemployment and raising the living standards of people.It will also make youth empowered by developing their minds and making them learn leadership skills.I too have an idea "Educating every person on cpr"so I will be happy if you take a look at it and Please comment and vote.Your opinion and feedback will be helpful in developing the idea further. Thank you for your questions and takin a look at my project. The key factor in my project is the different way we want to foster the learning of sciences while creating a space for developing tchnologies in Africa. I can imagine a time when many turning point ideas come from African youth... this is our focus. Our team is only an added bonus because we are competent in mentoring and business startup and love science and technology. We can so much be able to scale our model through existing schools (we are currently testing this) The part of the turn over is not quite predictable at this point because our focus is on youth who are out of school and other marginalized youth whose pay back will depend on the success of their projects. Thank you again for your questions. Very insightful. I actually do hope that we can work together not only for this competition. I believe there is a lot in collaboration where we can all benefit. Some people here might actually take it that we are competing with each other but in actual sense we are here to support each other. I wan to thank everyone who has supported me grow this idea and has encouraged me. We here are in the business of making our communities better. Thank you for your comments. I actually do hope for a time we shall have our center in most African countries. And also thank you for your encouragement. I will definitely look at your project. Thank you for your encouragement and support. You took the time to vote and comment on this project and again, you do want to follow this project. This is an awesome honor for me and a big encouragement. Sharing notes on this platform has made me realize that most African countries and facing this same challenge in education. Can someone outside Africa who is in this platform share with me their experience studying sciences? If you can, this will be so helpful for me and I appreciate it a lot. Thank you. Thank you for your encouragement. I do believe that our future and that of our children lies in what we do today and I hope and know that our small efforts will contribute in making a just and better world. 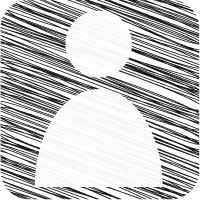 I will check out your project. Thank you James for letting me know your experience. It seems most of the African countries are stuck with the colonial rigid education which doesnt inspire creativity and innovation and I want to break this pattern and create a new learning platform. Thank you for the encouragement. By letting me know your experience, I am able to compare notes and learn what happens in other areas in Africa. I also graduated from Physics in one of the best university of Technology in Nigeria but one thing I discovered is the fact that we are not really trained to solve societal challenges.. We are trained to get employed and live good life. What the mess. I hope we can have more unique persons like you in Africa.... You got me Man! Visiting your page is one of the fascinating thing to me. I am really interested in this project based learning and I will appreciate resources that will help me in my project and further idea. I am motivated with this project because of my own experience. It is so unfortunate you went through the same and many more youth Africa-wide are going through this. My hope is that my project breaks this process. In regards to the $2000, you might be right. We are currently understanding our potential scholars. We are also looking for a figure to cover accomodation, feeding and training needs for a year. Now considering that we are not like other schools which have holiday breaks but rather we are in the academy all year round, this amount might be just enough but it will probably between $1000-$2000. In addition, we have the full or partial scholarship which will cover those not able to pay the amount. Thank you again for pointing this out. We are understanding this more. I love the idea. In Uganda, science education and growth in science and technology are really being limited by the theoretical learning and a curriculum that is out dated. This might actually be the case for most African countries. I want to follow this project always and hope to get in touch with you. Hello Geofrey. When I resd your project description, I remembered how I graduated my physics class with a very good grade, but I could not even fix a light bulb. The education that most our kids are receiving is purely theoretical and not practical. That is why we are not able to get people like Mark Zuckerberg in Africa. Its like we have been programmed to study for a job and not anything else. The fact that your project is tackling this challenge gives me hope on the future of the continent. As feedback, dont you think 2000 USD per year is a lot of money for average income earning families? Thank you for your comments. I know a little about project based learning as we have been training secondary school teachers about it. I would be willing to share some resources I have with you. Just let me know if you are interested. Thank you. I like your efforts and all the entrepreneurs here. It is up to us to make the world a better place and our projects here go a long way. I wish you and all the rest the best. It is interesting to meet great minds here! I must confess that you are one of them Geoffrey. I still intend making a proper study on project based learning. I intend building a better community for secondary school student in my country.. I hope to graft this in. Hello @Mujahed, you wrote a comment in french but unfortunately, I am not learnt in French. I do hope that it means I contact you on WhatsApp. Yes we do need collaborations and exchange of experiences. I was not aware about the possibility of the participants here becoming members but thank you for the information. Let me contact you on WhatsApp and we see a way to work on. Excellent model of learning and putting knowledge in practice immediately so young people learn through their own experiences early enough. I like that you actually lived process that you have as a project now, and I hope you will have great success with this idea. I'm also here with a project Baby Artysh, so if you have some time please take a look. je trouve votre projet ingénieux et vraiment utile pour l'Afrique. je serai ravi de vous avoir dans mon équipe pour une collaboration parfaite. Wow I love the project. Having an informal place where people learn science and technology beats the current system which is strict and limits students exploring their ideas. Thank you Minda for your comments. Excellent project. Your project creates a comfortable and conducive learning ground with an interest in science and technology. The question is, why not need a teacher (mentor) in this project? What if they find difficulty in their learning?